For fall break this year, we decided to head down to Dollywood in Gatlinburg. Our hotel was right across the street from the Tennessee Smokies baseball stadium. Unbeknownst to me, the Smokies were hosting the Great Smoky Mountain Auto Fest the very same weekend! How does this happen to us? Crazy. So of course, I walked out of the hotel and over to the car show to see what this part of the state has to offer. The featured marque was Corvette this year, so of course they had some really nice Corvettes. But there were plenty of other great cars if Corvettes aren’t your thing for some inexplicable reason. I was there pretty early, so it’s possible that more cars showed up later, but the ones that were there seemed pretty good to me. Some of the best car shows of the year happen just as the car show season is winding down. Such was the case with the 31st-annual Lebanon Oktoberfest Antique Car Show, which was held last weekend around the Main Street Wilson Bank location in Lebanon, Tenn. It was a beautiful, cool day; just perfect for checking out all the beautiful, cool rides. 382 vehicles showed up for this event, making it one of the largest single-day car shows around. Also, since it is hosted by the Middle Tennessee AACA, there is always a nice assortment of factory-correct classics. Corvettes. You know I love ‘em. So when I heard that there was a car show at the Corvette Assembly Plant in Bowling Green, the birthplace of every Corvette since 1981, you know I had to check it out. I even entered my own ’93 Corvette in the show, even though there was no chance that I was going to win one of those awesome trophies. It was just cool to be in the shadow of a place that produced so many cool cars. The Vettes, Hot Rods, and Families Car Show had a pretty decent turnout, and the entry fees went to the American Cancer Society. It was a good way to spend a Saturday. If you like your car shows a little more gritty, if you’re not really into shiny paint, and if you like dodging fast-moving bicycles, motor scooters, and rat-rodded golf carts, the Redneck Rumble is the place for you. The 13th-annual Fall edition was recently held at its usual location, the Wilson County Fairgrounds in Lebanon, Tenn. And as usual, the place was packed with all manner of crusty and creative rides. There’s a lot to this show, including a cruise, swap meet, and even a demolition derby. I brought my own non-glossy truck to the party, so I had premium parking to go straight to the picture taking. The Red Boiling Springs Fall Meet claims to be the oldest car show in the south. After 62 years, this seems like a pretty safe proclamation. Held at the picturesque Thomas House Hotel, this event draws in cars from everywhere. I’ve seen some of them, because I go to a lot of car shows. But there were many that I have never seen before. The humid, steamy weather didn’t keep too many people away from here. It was a great turnout for a very historic event. This one is organized by the Middle Tennessee Antique Car Club, which is a chapter of the AACA. Burt Reynolds. We'll miss him. Well, it was bound to happen, I guess. 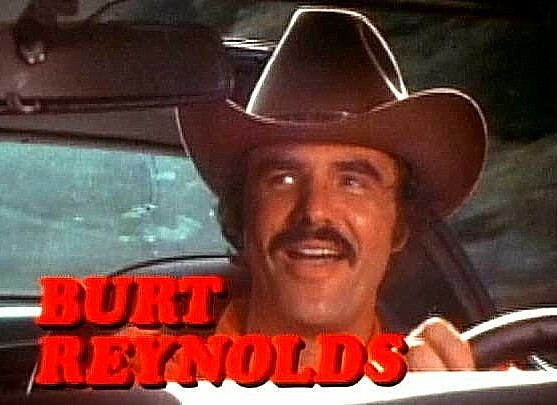 We lost Burt Reynolds. I've said it here before, and I'll say it again, Smokey and the Bandit was the greatest movie ever made. Ever. It's a sad day for car movie lovers everywhere. There are lots of things out there about the life and career of Burt Reynolds today, but around here we mostly care about the car movies. I'm going to have to pop one in the DVD player tonight! Here’s a little synopsis of some of the best (and worst) Burt Reynolds movies featuring the big three: car chases, car jumps, and car crashes. ^ ^ ^ ^ ^ = GOLDEN MOUSTACHE RATING SYSTEM! For 37 years, automotive enthusiasts from all over the Music City have gathered in Goodlettsville for the big Bowen Campbell Auto Expo at Moss-Wright Park. This year was no different, as a huge group of quality rides was on-hand for a surprisingly pleasant, overcast day. This one is put together by the Sumner County Vintage Vehicle Club, which is sanctioned by the AACA. As usual, these AACA shows attract some of the nicest old cars and trucks around. I don’t really enter my own cars in many of these shows, but this one was close enough to home that I actually entered both the ’63 Chevy C-10 and my ’93 Corvette. My son hung out with me, I talked to people about cars, and overall it was just a good day in the park. I like pretty much any car show, but they’re even better when they support a good cause. Such was the case with the 3rd-Annual Pink Christmas Car Show, which was held last Saturday at the Rivergate Mall in Goodlettsville. This event supports breast cancer patients and survivors. There was a nice group of cars gleaming under bright sunshine, live music, food vendors, swap meet booths, and more. You could tell that the show organizers really put some thought into this one. I was on my way up to Kentucky for the Somernites Cruise, but I couldn’t resist stopping at the mall on my way out to see all the nice cars the locals had to offer. When you approach Somerset, Ky., the sign on the highway declares that you are entering the “Official Car Cruise Capital of Kentucky.” When it comes to the monthly Somernites Cruise, these people aren’t messing around. It kind of reminds me of a NASCAR event. There are Somernites souvenir trailers, printed color programs, and many displays, activities, and vendors to keep everyone entertained. Oh, and there were lots of cars—1,500 of them according to the P.A. announcer. Somerset’s entire downtown is blocked off for this, and they manage to fill every parking lot and street corner. 1984-1996 C4 Corvette history and memories. The secret's out! When the “C4” Corvette debuted in 1984, I was certain that it was, without a doubt, the most amazing car I had ever seen in my life. At the time, it was state-of-the-art in every way. The suspension was like a work of art. The liquid crystal gauges were at the height of high-tech. Everything, from the unidirectional tires and wheels, to the shape of the optional lumbar adjustable leather seats, to the design of the air filter cover was just perfect. My dad brought a few of them home as company cars when they were new, and I thought riding in them was absolute heaven. I’m not the only one who has great memories of these cars, though. The fourth-generation Corvette, which was produced between 1984 and 1996, is becoming more popular all the time. Right now it’s one of the biggest bargains out there, but get it while you can. The secret's out, and they’ll never be worth any less than right now. There are lots of good car shows and cruises around the country, but few take place at a more famous location than the monthly Hot Rods on Beale Street Cruise in Memphis. The Home of the Blues is completely lined with beautiful cars and trucks that are there by invitation only. There’s no D.J. or food trucks at this cruise, because the air is filled with wall-to-wall live Blues music and soul food. It’s like nothing else I’ve ever been to. I’m in Memphis fairly regularly, but my schedule only meshed with the June and July editions of this event, so I’m combining them together for this story. Lebanon High School held their annual fundraiser for the marching band last weekend, and lots of great cars showed up to do their part. The sun was as bright as the sun could be, but the temperatures were fairly reasonable for Tennessee in July. A high school is a pretty good place to have a car show, because when the students and teachers go home, there’s a huge parking lot that isn’t being used on the weekend. Every empty parking lot should be filled with cool old cars. I have decreed it. When I’m not going to car shows, I actually have a paying job where I rep General Motors vehicles at the dealer auctions in Memphis and Nashville. Recently, my car show world and my professional world combined when Manheim Nashville had an employee Spring Fling and car show inside the gates of their massive campus in Mt. Juliet. Rain in the area probably kept several cars away, but a little water never hurt my old truck, so of course, I was there. The auction had set up a really nice event for their employees with lunch, games, and prizes, so I was really happy that they let me attend. What’s more, some of the people that work there have some really nice cars! I really enjoy it when the Goodguys car show comes to town. It takes place at the football stadium, but you see cars running around all over Nashville. This is nothing like a weekly car cruise. It’s expensive to show your car there. There are lots of rules and regulations. It’s hard to win anything. It’s a huge production, almost like having a NASCAR race come to town. It’s an exciting event even if you don’t like cars, but it’s even more exciting if you do. It’s one of those shows that I try make every year, even if I don’t have a car in the show. It takes a few hours to get through it all, but it’s worth the time. I’ve been attending the AACA car show at Wilson Bank in Mt. Juliet for a few years now, and I liked it so much that I finally decided to enter a car. This is one of those events that always seems to be blessed with nice weather and a great turnout, and this year followed that trend. The Mid-Tenn AACA chapter reports that 156 entries made it to the show field, and there were several of them that really tripped the meter. My only regret was that I underestimated the sunshine and forgot to wear sunscreen. Hanging around at a car show is not for the weak. Nashville’s weather has been all over the place lately, but spring made a welcome appearance last Friday night for the kickoff of the Hendersonville Cruise-In. You could tell people were ready to get their cars out, because the lot was packed from one end to the other with virtually every kind of car imaginable. I like it because it’s about ten minutes from my house, so it’s kind of like the car show comes to me for a change. It was also the first time we drove our “new” ’93 Corvette anywhere, so it was fun to bring something out for its car cruise debut. Lately, Cars and Coffee-type gatherings are really picking up steam over the traditional night time car show. It makes sense. You get up early, spend an hour or three on a Saturday morning, and the rest of your day is free. The BMS Cruise-In is taking advantage of that trend. Last Saturday was cool and foggy, and there were still probably 150 cars and trucks out there. A lot of them are late-model Mustangs and stuff that are not usually what we cover here, but there are still plenty of very cool older rides if that’s what you’re into. For as long as I can remember, I have always loved going to the swap meet. I usually don’t even buy that much stuff, but I enjoy digging around looking for treasure. Last Sunday, the Stones River Swap Meet packed into the Tennessee State Fairgrounds beneath the shadow of the grandstands of the legendary Fairgrounds Speedway. Vendors brought in everything from car parts to wall art; model cars to project cars; worthless junk to priceless merchandise. The weather was a little cool and damp, but the line of people waiting at the ticket booth stretched to about a quarter mile. Turns out I’m not the only one that loves the swap meet. I’m always happy when the Nashville Auto Fest comes to town. I’m usually stir-crazy for some car action by mid-January. I usually see something I haven’t seen before. And any chance I get to set foot on the same property as the historic Nashville Fairgrounds Speedway brings joy to my heart. I think this year looked a little lighter on cars than others I’ve been to, but we have been dealing with some weather problems over the past couple of weeks. There was still quite a bit of great stuff there. Believe it or not, I even took some pictures. The State of Tennessee declared a “state of emergency” because of the weather at the same time the 2018 Tennessee Motorama was setting up at the Wilson County Fairgrounds. Those conditions do not lead to a super successful car show. But give Both Barrel Productions credit—they didn’t cancel it. For their efforts, they were rewarded with a reasonable number of vendors, and about 10 show cars. You might think the cars would be beaters because people would keep the high-end stuff out of the snow. But as it turned out, most of them were so nice that they came in trailers anyway. So there weren’t many cars, but the quality was outstanding.